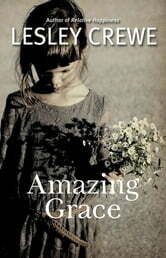 I work in Baddeck, reading this book I felt like I was with Grace the whole time. Beautiful story. Touches the heart and leaves an imprint on your memory. Thank you Lesley. One of the best books I have read in a long time. The story will grab you and hold you with the charachters that are real and full of emotions. I am so happy to have found this author. I look forward to reading all of her books. It is a definite page turning, can't put down till you finish. Amazing Grace was a riveting story, it just kept going, but sad to see it end. Reminds us to never give up, kin is kin. Hard to put down story telling. This story of self discovery and healing stole my heart and took me to its world. The raw emotion and character displayed in this journey is mesmerizing. A beautiful story from beginning to end with a spunky leading lady and artful scene scape. Great! Interesting characters. Straight forward, real life emotional story tellling. Loved the writing style.